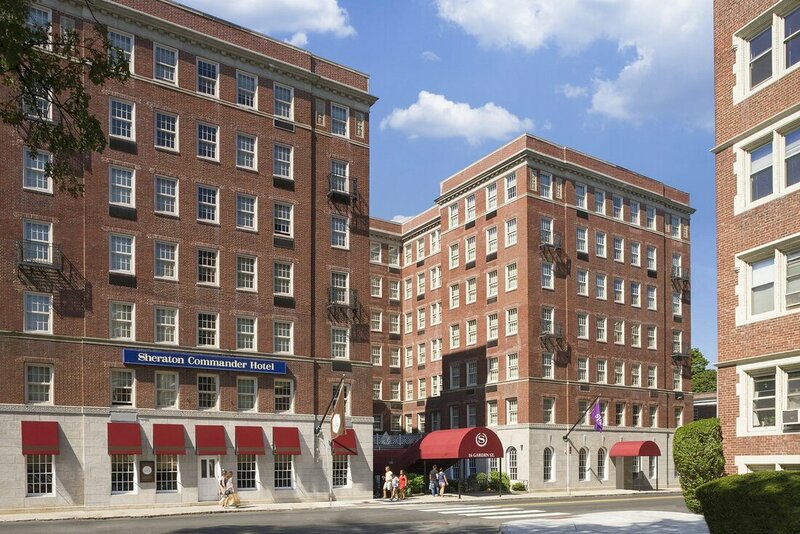 An enduring landmark in one of the nation's most historic locales, Sheraton Commander Hotel effortlessly blends cutting-edge modernity with boutique elegance. Situated on Cambridge's Harvard Square, nearby the site where George Washington took command of the Continental Army, our hotel pays homage to the area's rich legacy with design details like a Mount Vernon-inspired entrance. Harvard University and the quaint shops of Cambridge are right outside of our hotel doors; MIT and Tufts University are a short distance away. For business guests visiting Cambridge, our hotel boasts over 5,400 square feet of venue space, including recently updated ballrooms, for meetings, conventions and galas.